The draw for the first Grand Slam of 2013 has been made, and the big news is that Victoria Azarenka and Serena Williams have been drawn in the same half. That means that, although there will be no repeat of their epic US Open final, there could still be a blockbuster semi that would decide who will be ranked number one post-Melbourne. This is good news for Maria Sharapova, the woman who rounds out the WTA’s “Big Three.” The Russian had a hard time getting past Azarenka and Williams in 2012, and will now only have to beat one of them to win her second Australian Open. The top seed and defending champion shouldn’t be troubled too much in the opening few rounds. Although she had to pull out of the warm-up event in Brisbane last week, Azarenka did look in good form during her first two matches, and should ease past her first round opponent, Monica Niculescu, and either Eleni Daniilidou or Karolina Pliskova in the second round. She is seeded to meet Urszula Radwanska in the third round, but the younger Radwanska sister would have to get past rising American Jamie Hampton first. Roberta Vinci has been playing solidly of late, and should make it through a section that includes Varvara Lepchenko and Elena Vesnina to set up a last 16 clash with the world number one. There are countless candidates for Azarenka’s quarter-final opponent. Sara Errani is the seventh seed, but the diminutive Italian has looked more vulnerable at the start of 2013, and could well lose to a motivated and apparently healthy Svetlana Kuznetsova in the third round. Elsewhere, Caroline Wozniacki, the tenth seed, has a chance to reward her fans’ faith with a solid run in Melbourne, but she is in a tricky section that sees her face the dangerous Sabine Lisicki in the first round and, potentially, Anastasia Pavlyuchenkova in the third round. Both women are capable of upsetting the Dane, and even if she finds a way past them, a fourth round contest with Kuznetsova, her conqueror in Sydney last week, is a tough ask for Wozniacki, who doesn’t look fully comfortable with her game at the start of the new season. There is a growing number of people who believe Serena could make a clean sweep of the Grand Slams this season. Having lost only one match in the second half of 2012, she has probably never been a hotter pick for a major title. Motivated, injury-free and with an eye on the history books, the American is the closest thing to a dead cert in Melbourne. In the past, Serena has usually been most vulnerable during the first week of Grand Slams: the mantra has generally been “Beat her early or you don’t beat her at all.” But it’s hard to see any of the women in Serena’s immediate vicinity bothering her. She opens against the unknown Edina Gallovits-Hall of Romania, with Magdalena Rybarikova or Garbine Muguraza awaiting in the second round. Yaroslava Shvedova is seeded to meet the 15-time Grand Slam champion in the third round, but although the Kazakh produced some stunning results at the French Open and Wimbledon last summer, she hasn’t done much since, and an upset seems highly unlikely. In the last 16, Serena could run into either Maria Kirilenko, the 14th seed, or Yanina Wickmayer, seeded 20. Again, these players are solid and reasonably consistent, but do not have enough firepower to trouble Serena, even on an off-day. If this draw had been released last year, fans would have been salivating at the prospect of a Serena vs Petra Kvitova quarter-final. But unfortunately the Czech has been in miserable form at the beginning of 2013, flaming out of Brisbane and Sydney after admitting to struggling in the hot conditions. If Kvitova were at her best, she would have a real chance of upsetting Serena in the last eight, but as things stand, it wouldn’t be a surprise to see her fall to either Francesca Schiavone in her opening match, or Laura Robson in the second round. A repeat of the Robson-Sloane Stephens Hobart match could then transpire in the third round. Elsewhere, Nadia Petrova and Lucie Safarova, two players who tend to threaten more than they deliver, could do some damage, but this section remains very open, and an excellent opportunity for the WTA’s next generation. Continuing her superb form from last season, Agnieszka Radwanska is undefeated in 2013, picking up titles in Auckland and Sydney. The fourth seed’s biggest challenge in the early round will likely come from either the hotly tipped but inconsistent Mona Barthel, or British youngster Heather Watson. This section could see an all-Serbian third round battle between Jelena Jankovic and Ana Ivanovic, two former world number ones who have struggled to recapture their best form in recent years. Ivanovic, having performed well at the Hopman Cup, will be favoured to reach the last 16, but she would have to produce an exceptional performance to derail Radwanska once there. Li Na, now coached by Justine’s former mentor Carlos Rodriguez, seems to be playing much better of late, and won the title in Shenzhen in the first week of January. The Chinese start shouldn’t face many problems during her first few matches, but things could get more interesting in the last 16. She is seeded to meet Sam Stosur, but can the Australian get over her tendency to flop in front of her home crowd? It would be a shame to see the former US Open champion lose early again, but a defeat to Jie Zheng in the second round or Julia Goerges in the third would not be classed as a total shock. Sharapova is the only member of the WTA top ten not to have played a competitive match in the new season. A collarbone injury kept her out of the Brisbane International, but she arrived early in Melbourne and appears to have been practising without pain. Although she might be a tad rusty in her first couple of matches, the French Open champion shouldn’t experience too much difficulty on her way to the third round, but there she could face Venus Williams in what would be one of the highlights of the first week. Injury has kept the elder Williams sister from making a serious impact on the tour in recent seasons, but she looked healthy during the Hopman Cup last week, and loves nothing more than a chance to prove she is still a force in the game. Victory over Sharapova would be a stunning late-career achievement for Williams, but the world number two is less intimated by Venus than she is by Serena, and will be the favourite to reach the last 16. There, current form suggests her opponent would be the streaky but increasingly impressive Dominika Cibulkova, who thrashed Petra Kvitova for the loss of only two games on her way to the final in Sydney. The pressure is on Angelique Kerber to repeat her stunning 2012 season, when she was second only to Azarenka in total match wins and reached a career-high ranking of five. The German is in a relatively soft section of the draw which includes the promising American Madison Keys, who almost upset Li Na in Sydney, and 30th seed Tamira Paszek, an excellent grass court player who has yet to do serious damage on other surfaces. Mercurial Frenchwoman Marion Bartoli is slated to be Kerber’s challenger in the last 16, and is fully capable of getting that far and beyond, but she has won only twice so far in 2013, and faces a tough opening clash with Anabel Medina Garrigues. 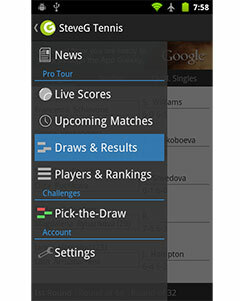 The women’s draw is perhaps less open than in previous years, as the top players tend to be more consistent these days. Azarenka, Sharapova and Radwanska were regular title challengers throughout 2012, and in spite of some minor injury scares, they should continue to perform well at the first Grand Slam of the new season. But the main question surrounding the Australian Open 2013 is: can anyone stop Serena? The world number three will arrive in Melbourne having won 35 of her last 36 matches, and is arguably a more complete, mature and intelligent player than ever. She has utterly dominated her main rivals of late, and, thanks to a kind draw, won’t face a genuinely tricky customer until the second week. All signs point to Serena Williams winning a sixth Australian Open and 16th Grand Slam title.